The christening of a baby is a great cause for celebration as the church welcomes in a new member of the family. Being properly prepared for the christening will ensure everything goes smoothly, from setting the date to cleaning up after the reception. Select a day to celebrate the birth of your child and welcome him into the church community of believers. Send out invitations to the ceremony as early as possible. Choose the baby's godparents. You want people who will be a good example in faith and action to your child as he/she grows. Godparents are entrusted with the life of your child should your lives come to an end. Consult with your local clergy to determine whether both of the godparents must be of the same faith or if one confirmed church member will suffice. Learn about the significance of christening and each aspect of the ceremony by attending the classes set up by your local clergy. The godparents you select should also plan to attend classes to learn about and prepare for their responsibilities to the newborn child. Arrange for the gown your baby will wear during the christening ceremony. You may purchase a new gown or use a gown passed down through your family. The color white signifies the purity of life found in Christ. Baby boys may wear a white suit or a white shirt and pants if you don't want to use a traditional gown for the ceremony. Consult with your clergy on the clothing options for your son, because different parishes may have slightly different standards. Select the Christian name your child will use at the christening ceremony. You can find many names to choose from as well as their associated meanings online. Prepare for a banquet or a less formal reception after your baby's christening. Invite all of your family and friends to attend the celebration. Ask the priest about the church's rules on photography and videos during the christening. You don't want to offend parish members or the clergy by taking forbidden pictures during the ceremony. Be sure to notify attendees of the rules. 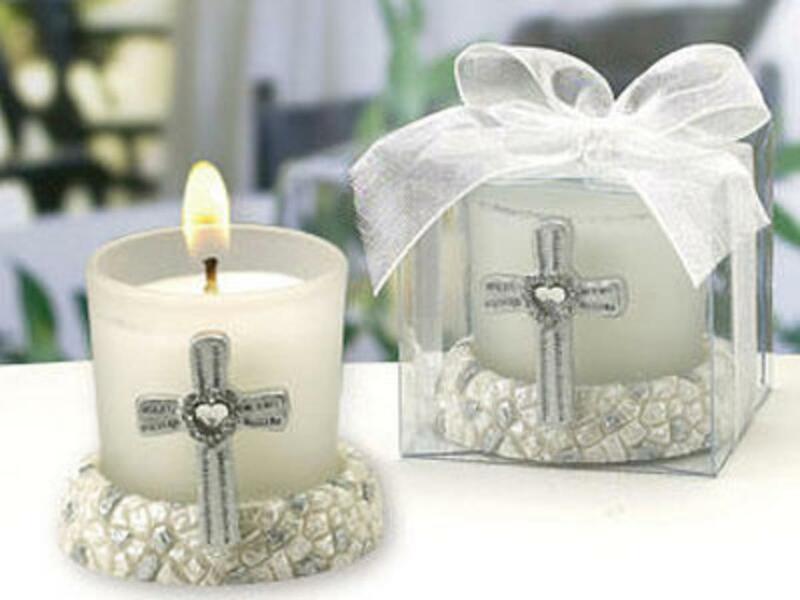 Find out how much the candle will cost for the christening ceremony and any other christening-related costs you need to cover at the church.